Wholesale Gifts! Discounts Every Day! Wholesale Gifts - Home Decor - Wholesale Direct! This wide-eyed owl figurine features a crackled white finish that�s creatively distressed in spots to make this look like a timeworn treasure. 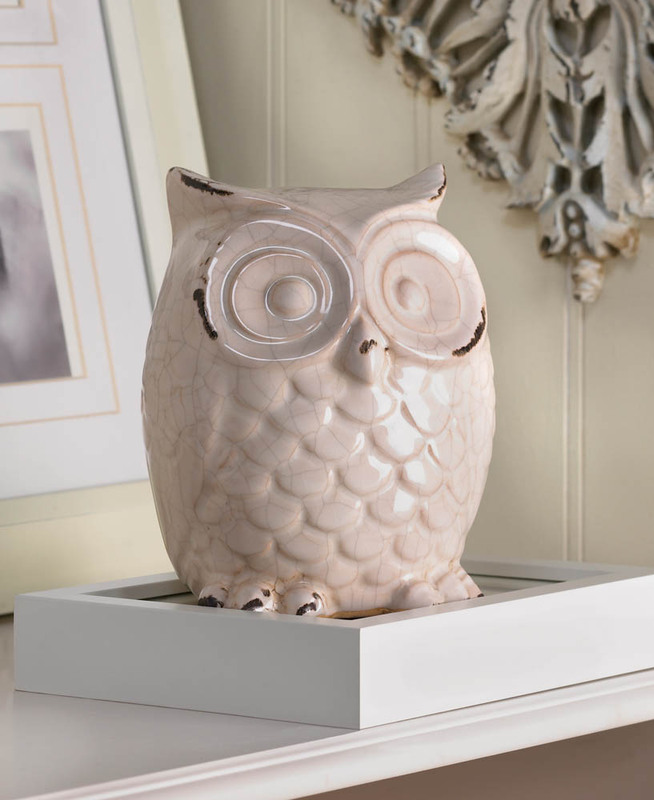 Decorate your tabletop, shelf or mantel with this charming white owl. 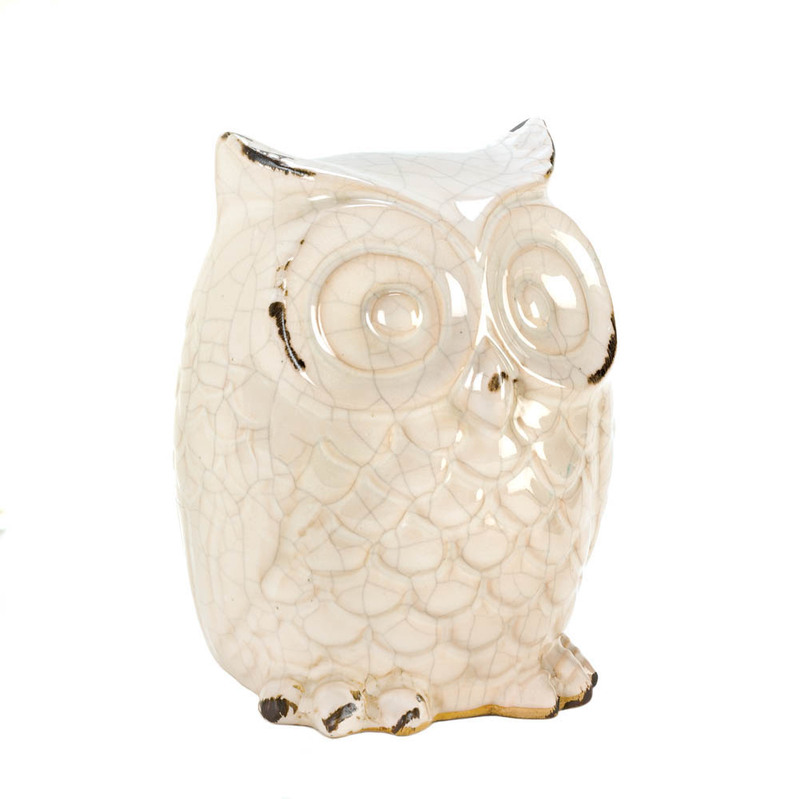 His iridescent glaze is crackled and worn to perfection, making him a fashionable addition to your decor. Item weight: 1.4 lbs. 4 5/8" x 4 3/4" x 6 1/2" high. Ceramic. UPC: 849179016296.